As one ISIS sympathizer carried out a devastating attack in Orlando late Saturday night, ISIS-linked terrorist group Abu Sayyaf also took an innocent life, executing Canadian hostage Robert Hall. According to a report by CBC News, the Philippines-based militant group "had warned it would kill Robert Hall today if it didn't receive a multimillion-dollar ransom." The group apparently made good on their word, as "sources close to the situation...and within Philippine security confirmed Hall's death early Monday." Hall was the second Canadian to be executed by Abu Sayyaf, after John Ridsdell was decapitated by the group in April following both men's abduction last September. 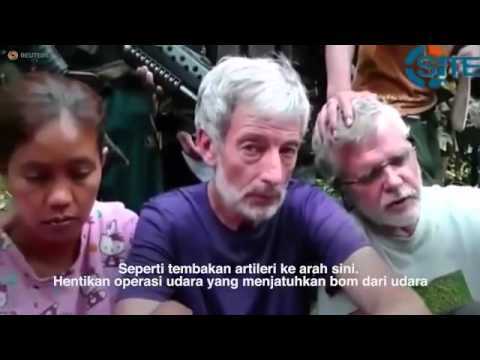 According to BBC, Abu Sayyaf also captured Hall's "Filipina partner Marites Flor and Norwegian Kjartan Sekkingstad," but their condition is unknown at this time. "Canada holds the terrorist group who took him hostage fully responsible for this cold-blooded and senseless murder. With the tragic loss of two Canadians, I want to reiterate that terrorist hostage-takings only fuel more violence and instability. Canada will not give into their fear mongering tactics and despicable attitude toward the suffering of others. This is precisely why the Government of Canada will not and cannot pay ransoms for hostages to terrorist groups, as doing so would endanger the lives of more Canadians." Based on the island of Jolo, Abu Sayyaf has operated in the Philippines since the early 1990s, carrying out various acts of violence and crime over the years, with an ultimate goal of establishing an independent Islamic state within the island nation. Previously affiliated with Al-Qaeda, the group pledged allegiance to ISIS in 2014, and have maintained their loyalty ever since. With the continual failure of Philippine military efforts, under the advisement of Canadian officers, to locate and defeat Abu Sayyaf, it may be time for more aggressive tactics to finally bring an end to these brutalities.